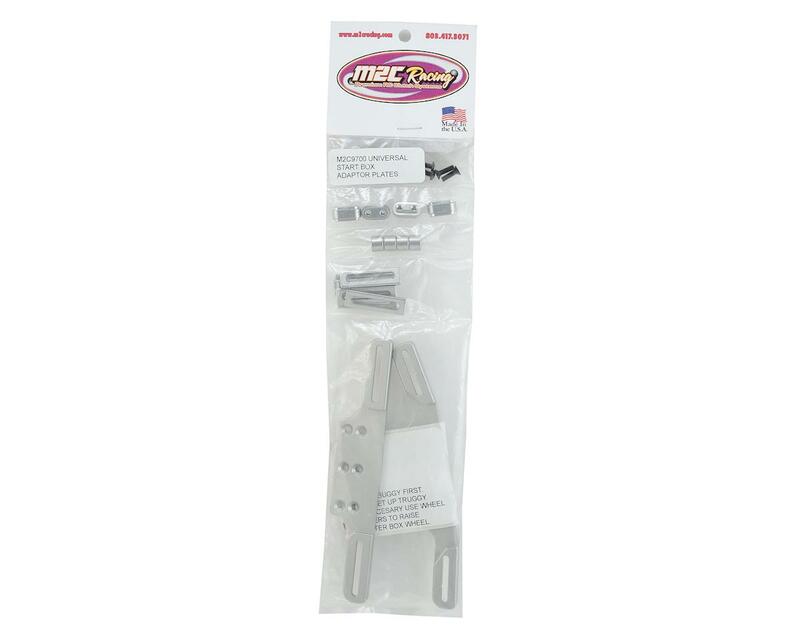 M2C Universal Starter Box Adapter Plates were designed to allow you to use the same starter box to start your buggy and truggy! This will help to simplify your race day and save you space when traveling. The plates and parts are made using silver 6061 aluminum for durability, as well as to provide a contrast so it will be easier for your pit guy to align the cars in low light conditions. This kit will fit most cars and trucks on the market, and is a proven fit on the ProTek Sure Start, OFNA 10244 Blue box, and Dynamite boxes. Align buggy flywheel slot with starter wheel. Adjust front plate so chassis fits into front slot of adapter plate. Adjust rear plate so chassis fits into rear slot of adapter plate. Place truggy on box aligning the flywheel slot to the starter box wheel. Adjust the stop pegs on front plate. if necessary. Associated chassis will fit front slot on both chassis. 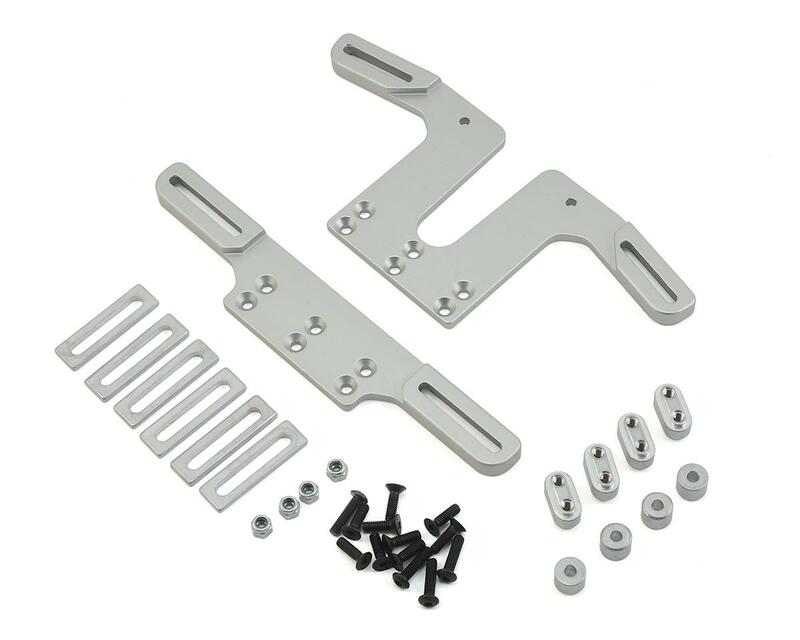 Tekno will fit both front and rear plates in slots on adapter plates. Adjust rear pegs on plate to fit truggy. It may be necessary to raise the starter wheel on some models or if your starter box wheel is worn. Shoe goo works well to hold the wheel adaptor spacers in place. I love these plates! I bought them for my 'Dynamite Ready-Start DM Universal Starter Box [DYN5650]'. Great product from M2C as always!